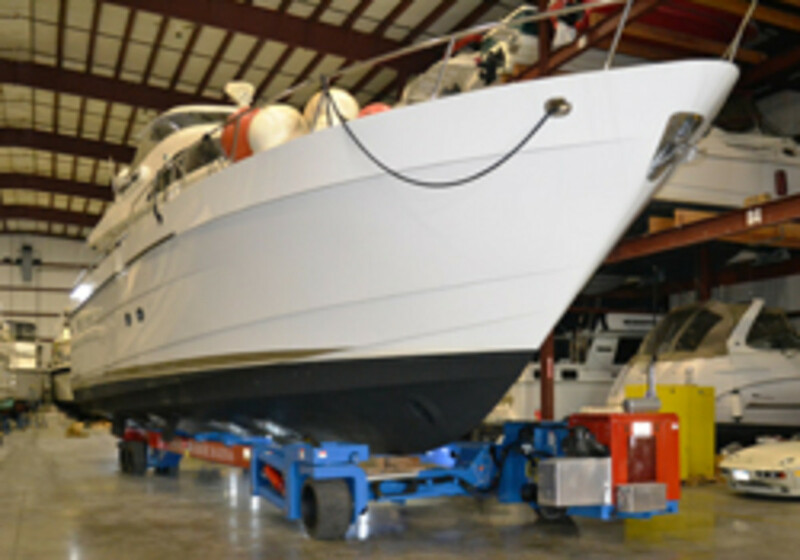 Kropf Industrial recently delivered a Conolift 60-ton capacity, self-propelled hydraulic boat trailer to brokerage, storage and service facility Winter Harbor LLC in Brewerton, N.Y. The new trailer will allow for transportation of vessels from the existing lift into the storage buildings, where they can be placed in close proximity on storage stands without the use of additional equipment. The trailer features an open-end design to minimize overall length without sacrificing stability. Ontario-based Kropf said the new trailer also offers Conolift’s open frame, which expands in width to allow the transport of a wide range of vessel types and sizes, frame lift to 65 inches and 180-degree steering. Kropf said a radio remote control package with microprocessors and digital readouts provides safe, reliable and consistent operation of the trailer while improving labor efficiencies.